This project, undertaken by the University of St Andrews, aims to test whether two short harm-reduction interventions will help students mature in their approach to alcohol and develop the skills to manage their alcohol intake and any associated risks. Project leaders: Penny Turnbull (Assistant Director, Student Services) and Mark Ford (Assistant Director, Student Services), University of St Andrews. Total award from AMOSSHE: £4,952. This project - ‘Addressing hazardous alcohol use with a harm-reduction focused brief intervention programme’ - is designed to address heavy and hazardous drinking and associated behavioural and health problems within the student community at the University of St Andrews. The project will examine whether two short interventions designed specifically for students, delivered by a trained alcohol adviser, and supported by personalised resources and information, will help students mature in their approach to alcohol and develop the skills to manage their alcohol intake and any associated risks. The project will also incorporate improved collaboration with external stakeholders, including Fife Alcohol Support Services (FASS), NHS Fife, Scottish Ambulance Service and local GPs. The project team will test the hypothesis that a targeted harm-reduction focused brief intervention programme, which is non-confrontational and non-judgemental, will lead to modified alcohol consumption and a decrease in associated risky behaviour among participating students. Establish a clear picture of the student drinking culture in St Andrews. Reduce risky alcohol consumption and associated behaviour among participating students. Where appropriate, provide ongoing support to students who engage in hazardous drinking, involving Student Services' Counselling and Wellbeing matched care programme as well as external agencies. Develop the outline of an institution-wide response to hazardous drinking to allow for scalability of activities and sustainability of the programme. A pilot programme will target students identified as engaging in hazardous drinking, including those who require the assistance of wardennial staff in university residences, those who have needed emergency healthcare or support of a Student Services' adviser, and those who are called before the University Conduct Officer for an alcohol-related offence. Students may also self-refer into the pilot. A literature review of student alcohol use and efforts to address it (primary and secondary sources). 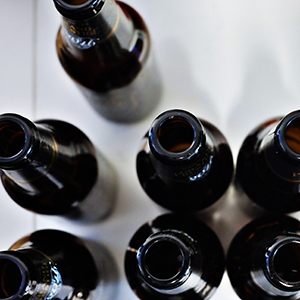 A review of existing alcohol brief intervention (ABI) methodology. The design, distribution and analysis of an online student alcohol use survey. The development of a participant questionnaire, alcohol tracking tool and personalised information sheet. Follow-up with participants at the end of the pilot. A review of associated case notes, risk assessments and student records. Regular supervision meetings with ABI advisers. The project team aims to produce a project report with key findings and recommendations for the sector, plus an alcohol use survey and analysis report.